και η μάχη με τα πλήθη είναι συνήθως κάτι που πρέπει να αποφύγετε, αυτή η πόλη έχει μια αρκετά ανεκτή υψηλή εποχή, εν μέρει επειδή υπάρχουν αρκετά ξενοδοχεία για να τα βγάλουν πέρα την περίοδο αιχμής και επίσης επειδή η πόλη είναι ζωντανή και σφύζει από συναρπαστικές δραστηριότητες, όπως την εντυπωσιακή Art Basel Miami Beach τον Δεκέμβριο, κατά τη διάρκεια αυτής της περιόδου. Η εναλλακτική λύση θα ήταν να έλθετε από τον Μάιο έως τον Νοέμβριο όταν ο καιρός είναι ζεστός, φτάνοντας τους 32C και οι τυφώνες είναι πάντα απειλητικοί. Un lugar lujoso, muy fino, sólo lo mejor, casas hermosas, simplemente me encantó..
West Palm Beach is a wonderful place to live, work, and play. As a Floridian myself I may be accused of having bias. 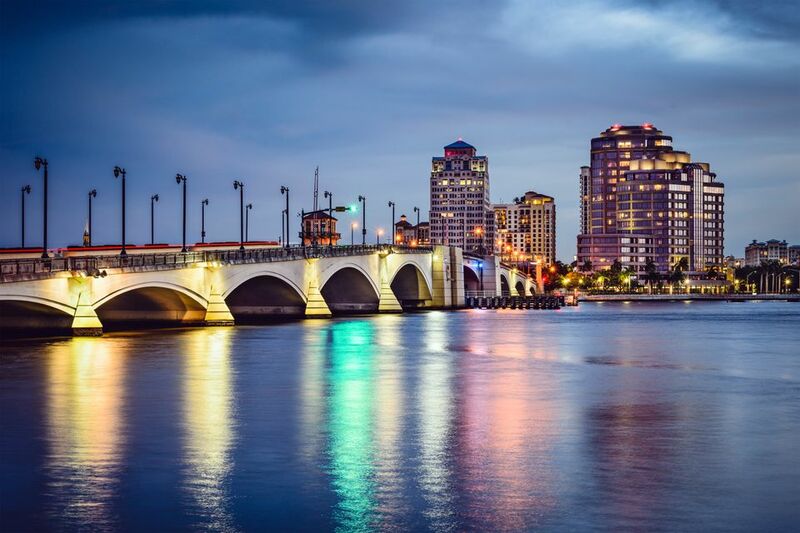 But having traveled the world there is just something nice about West Palm Beach. It isn't as big as Miami but has a lot of the city appeal. I think it's a great place! While we settle into the New Year and begin thinking about this year's logistics projects, many of us find ourselves drowning in a pile of spreadsheets alongside a mountain of research made up of frequently fragmented transport data which consists of much of last year's findings. We took a day trip from Miami to see West Palm Beach. I guess those days there was no GPS and no smart phones. We just drove around aimlessly and got to see some nice houses near the beach. I must go back one day. If you are looking for an exciting and different adventure you must try fishing at Peanut Island. This beautiful island is one of the favorite attractions for local boaters and fishermen. You can rent a catamaran, dock your boat and camp on the beach while enjoying this experience! The perfect balance of tranquility and casual night-life. During the day, I spent my time at the beautiful inter-coastal beach or walking Clematis Ave. A lovely strip of restaurants and shops. My first stop each morning, being the craft coffee enthusiast I am, was getting my daily fix at one of the many local coffee shops. My favorite being Subculture coffee-order the Mocha Latte. In the evening, there are delicious restaurants of choosing. Several have great handcrafted cocktail menus. My favorite was The Alchemist, an urban gastropub that has a unique selection of burgers. I ordered the slider sampler and was impressed. If you would rather a heartier breakfast than just a above-average cuppa joe, try the brunch at The Breakers. This hotel is renown in South Florida for it's luxury landscape worthy for it's many booked weddings and events. Other fun attractions that I enjoyed are the botanical garden which is FREE and so worth it. Just remember your bug spray. And the local amphitheater that hosts great artists, especially country musicians. Universal Engineering is the top most US's construction consulting firm that has a wide team of professional structural engineers and helps clients to all things about structural design, analysis, building calculations, repairing, alteration, etc. They provide all services across 28 states of US. Had a great time with my 2 girlfriends for cinco de mayo weekend! Check out Clematis St and the Blue Martini lounge! This is where i am from. If anyone is planning a trip to go to W.P.B. let me know i will be able to guide u to the hottest spots ,the most beautiful beaches in the world.